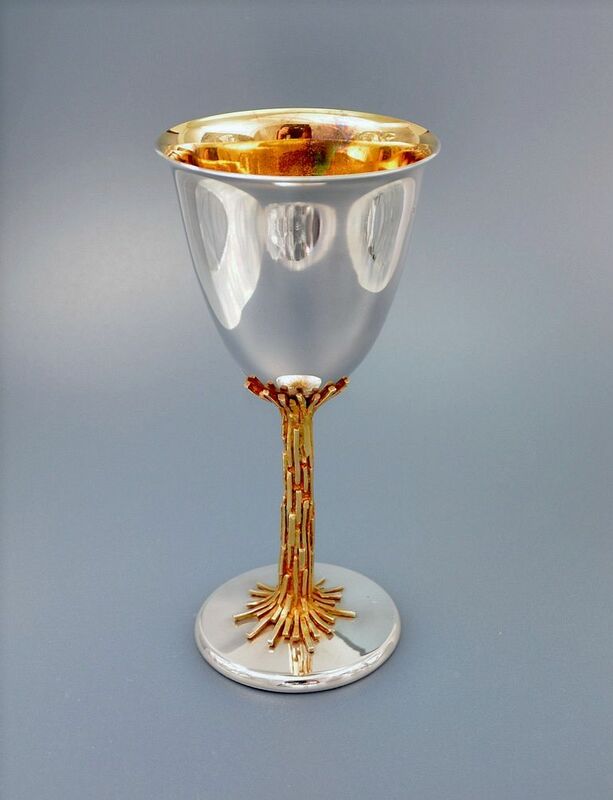 This stylish silver goblet was made in 1988. The round foot leads to a textured gilded stem and then to a tulip shaped bowl with a gilded interior. The texture on the stem is a series of overlapping gilded oblong "bricks" that extend down onto the foot in a spray and up underneath the bowl in a supporting spray. It is hallmarked for London 1988 and bears the sponsors' marks "DP"